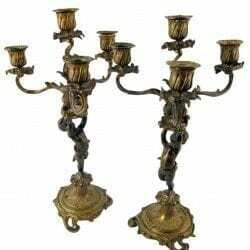 Product ID: 2803 Categories: General, Oriental / Asian. 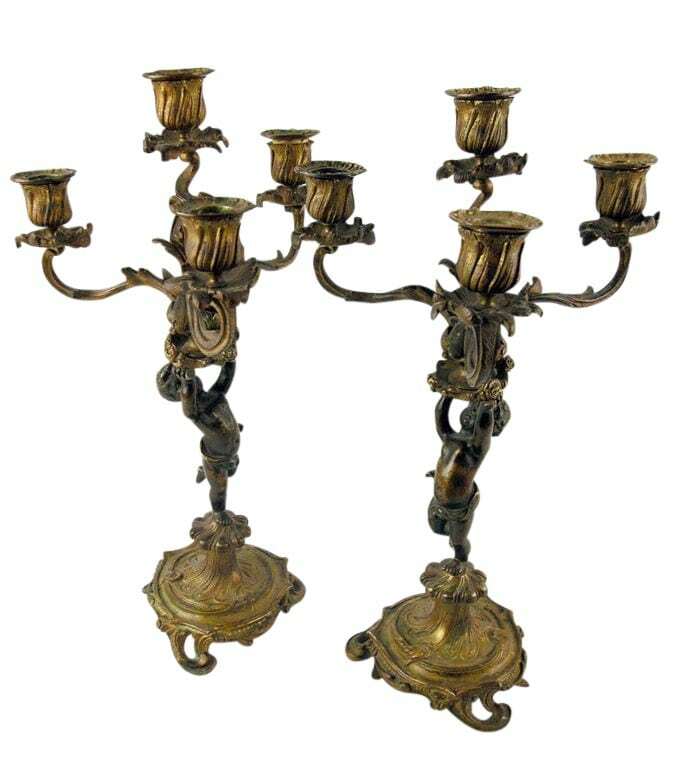 A lovely pair of 4 arm candelabras in patinated bronze with each held up by a cherub figure. 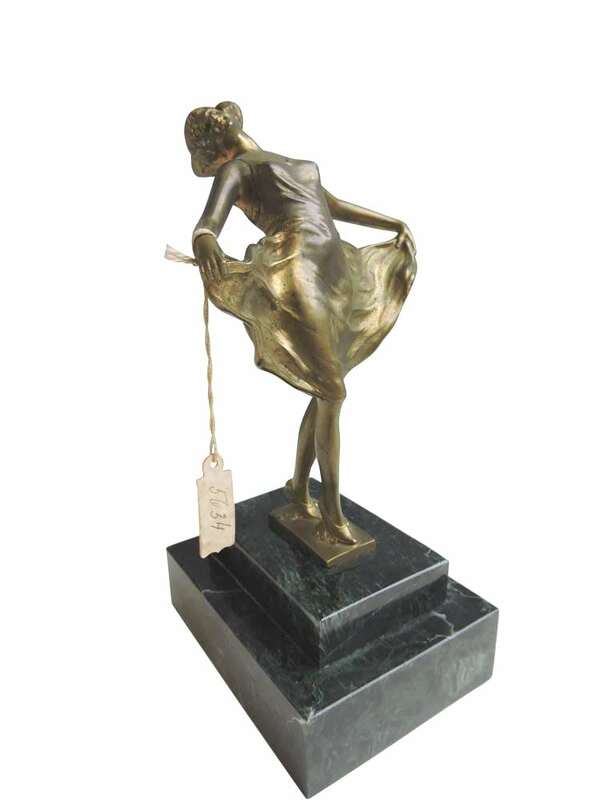 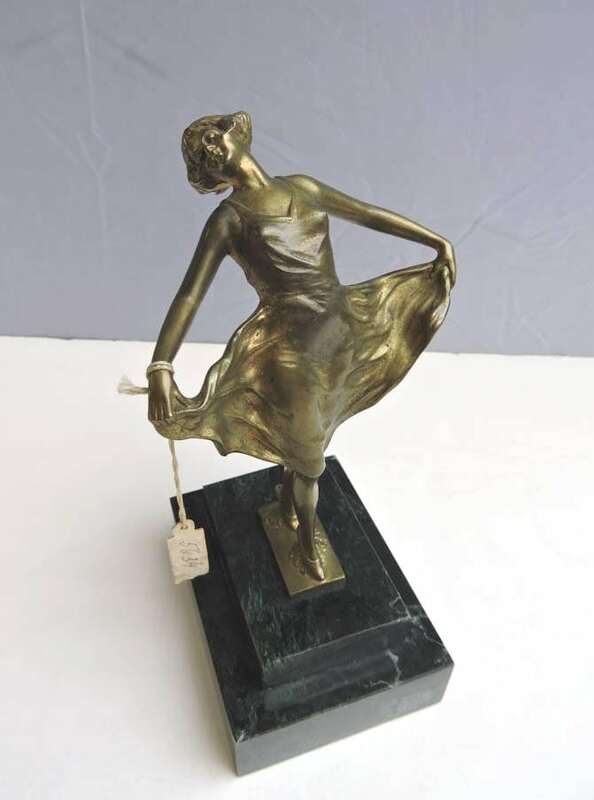 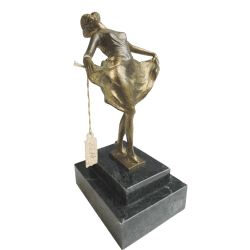 A small bronze Art Deco figure of woman on a green marble base. 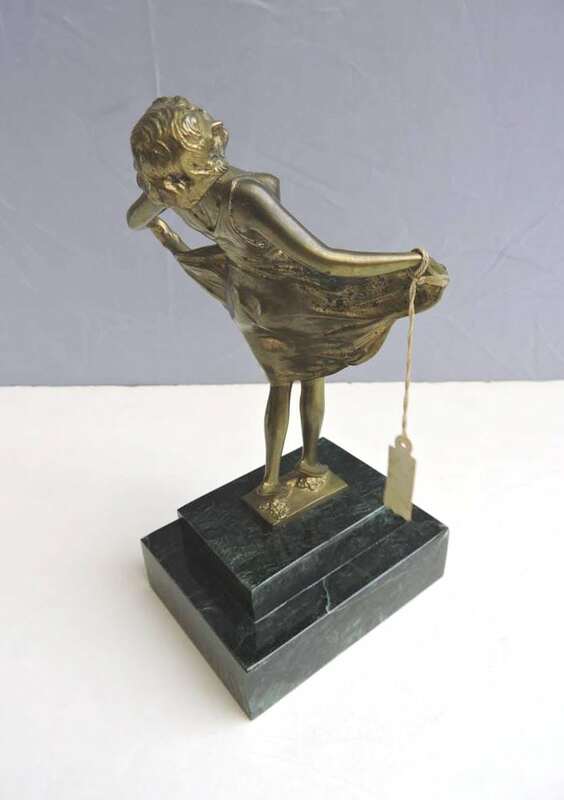 The subject is a woman used by Bruno Zach in many of his works. 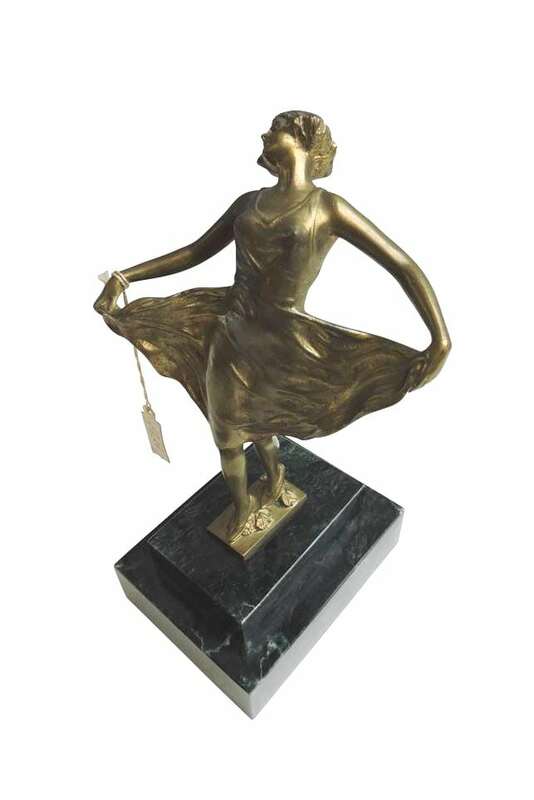 The figure is signed Zach on the back of the bronze base just below the feet.